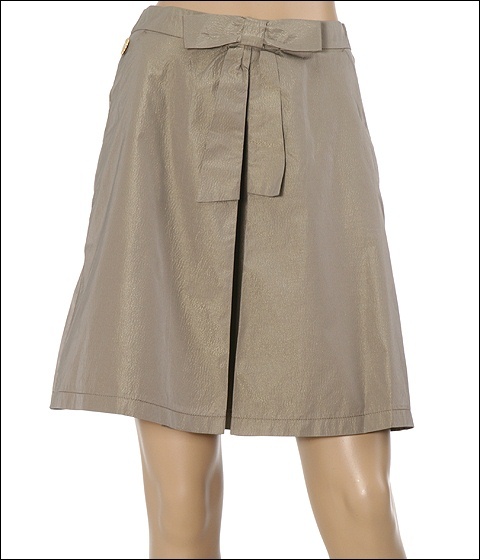 Fragrantly flaunt your fabulous flair with this fantastic a-line skirt by Moschino. Front bow on the waist. Zipper closure on the left side. Comes with Moschino heart pin on the right side. Left slash pocket. 20 skirt length. 79% polyester, 12% nylon, and 9% polyamide. Machine wash warm and hang dry. Imported.